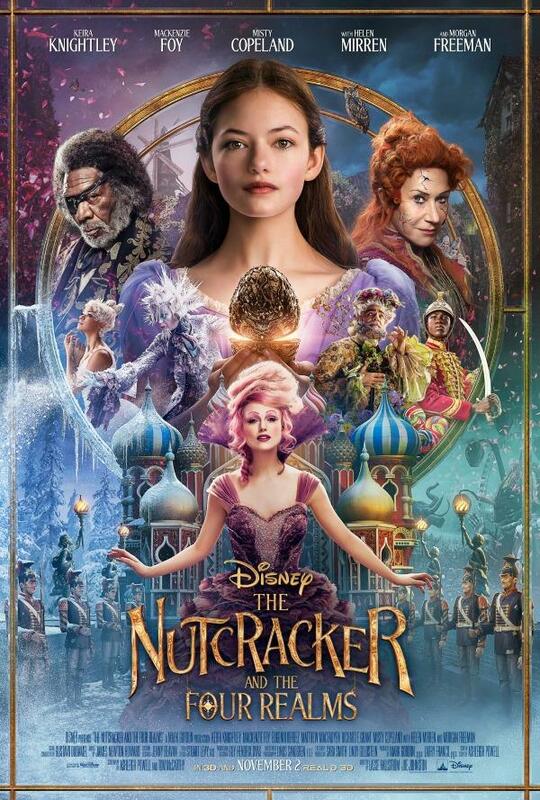 From the studio that brought you Beauty and the Beast comes the re-imagined tale of The Nutcracker: The Nutcracker and The Four Realms. When Clara’s mother leaves her a key, she embarks on a journey to four secret realms – where she discovers her greatest strength could change the world. A magical adventure awaits you! THE NUTCRACKER AND THE FOUR REALMS is now available on digital and Blu-Ray, and I received a copy in exchange for posting. If you’ve been following my blog for very long, you know how much I love Disney movies! This was no exception, and you can read my full review on this post. If you missed out on seeing the movie in theatres, you can see it now! The digital as well as the Blu-Ray have exciting bonus content. I wrote several posts about this movie, so click the links below for more great stuff! You both will love it! It’s very exciting and beautiful! 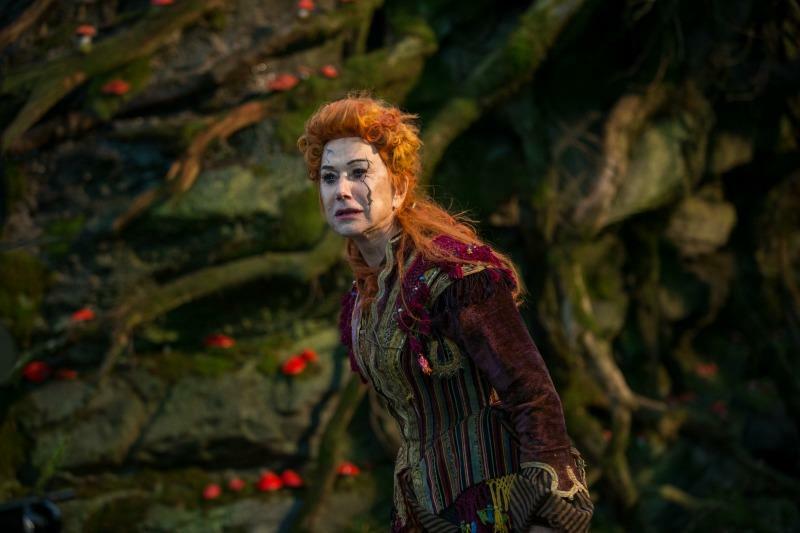 I haven’t gotten to see this yet but I’ve been dying to ever since seeing the previews back at Halloween time! I would love to watch this with my family! It’s so good! We watched it right away. I’ve always loved the story of The Nutcracker. I have not seen this movie yet! and neither have my grandchildren, so we all will be enjoying this together. You’ll all love it! You will have to make the Sugar Plum Fairy cookies to have during the movie. I haven’t seen it but want to. I would watch it with my daughter. You both will love it! You will be in the mood for Christmas again! I haven’t seen it yet. I would watch it with my daughters and niece. It’s a great movie to watch with them! It’s got such a great theme. We haven’t seen this movie yet, but really want to! You definitely need to see it! The movie is so well done! I haven’t seen it. And I would watch with my family. They will really like it! I haven’t seen this movie yet. My grandkids want to see this movie. Not only do they like the story, but they like Mackenzie Foy. The actress that played Renessmee in the Twilight saga. They’ll love it! 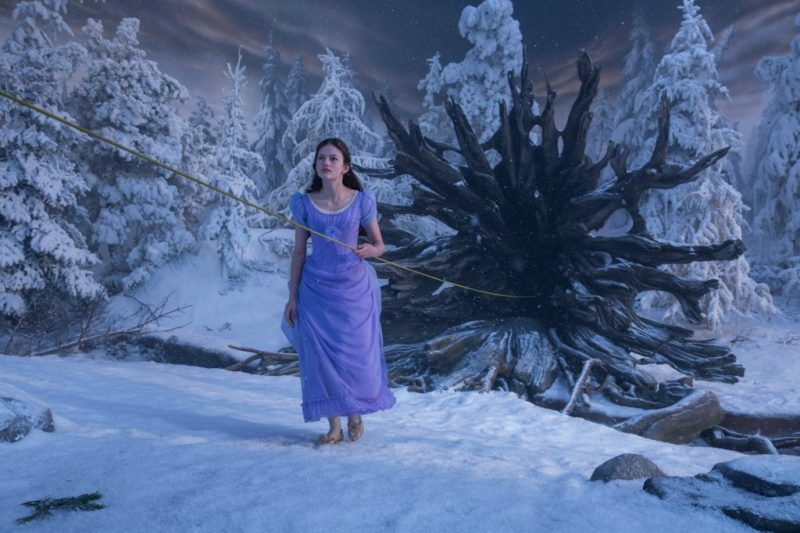 Mackenzie Foy is such a great actress, and seeing Kiera Knightly as the Sugar Plum Fairy was crazy! It’s so different from her other roles. I have not seen the movie. My daughter and I would love to watch! You’ll love it! It’s just such a beautiful, adventurous movie! I don’t blame you! It’s so good! Our family has not got the chance to see this movie yet, but it does sounds really good. It is! You definitely need to watch! I would share this movie with my wife. She saw this movie and really enjoyed it. She likes Ballet. We really liked it too! I haven’t seen it yet, but it looks really good. I would be watching it with my family, if I were to win! Oh, it is so good! The costumes are beautiful! I haven’t seen The Nutcracker and The Four Realms yet. I usually watch movies with my family. This would be a great one to watch with your family. It’s so good! You’ll like it! I have never seen The Nutcracker so I would love to see it with my kids. You’ll all enjoy The Nutcracker! I havent got to see this yet but its definitly on my must watch list. Id love to watch it with my youngest daughter. It’s very good, so you’ll both love it! No I’ve never seen this movie yet!!! But can’t wait to see it I’ve heard nothing but amazing thoughts on this !! I did see this movie and thought it was beautifully done! Thank you for the chance to win! I agree! I loved this movie! Unfortunately I haven’t seen it yet, but my son and I plan on watching it.